Here’s to you Jane Fonda, the all-time workout video queen! Thanks for getting me started when I was 8 years old doing arm circles and leg kicks beside my dad, yes dad! I’m both proud and slightly embarrassed to admit I was a loyal follower up until third year university, just ask my roommate who would come home in hysterics watching me squeeze my bum while pulsing up and down. Jane must be doing something right though! Gosh if I look like that at 73 I’ll consider myself a lucky lady! Over the past few years I’ve taken a big shift in my fitness and Jane unfortunately no longer satisfies my workout requirements. Below you’ll find a list of my new favourites and not so favourites. Plyometrics – in the beginning this KILLED me. I’m talking days, even weeks of DOMS (delayed onset muscle soreness) – BRUTAL. Now it’s a total breeze… I find myself doing extra burpees during the rests. It’s a great intro to plyometrics aka “jump training”! Yoga – awful, poor form and way too long. Also not challenging or relaxing, I found it an awkward inbetween and had to turn it off. Cardio X – alright, got me sweating but I feel more after a 30 minute jog than completing the video. Kenpo X – ridiculous … and that’s me saying that who will pretty much try anything in the name of a workout. Failing your arms around for 45 minutes will pretty much tire anyone out. Felt like it was doing nothing for me except nearly dislocating my shoulders. 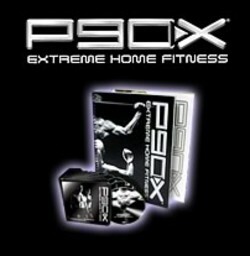 P90x + Intervals – also a great workout. I like how the instructor offers 3 levels to the interval, a great way to gradually build up strength. Once you’ve done this one you can always skip right to the advanced variation which makes it more challenging. P90x certainly helped me spice up my routine. 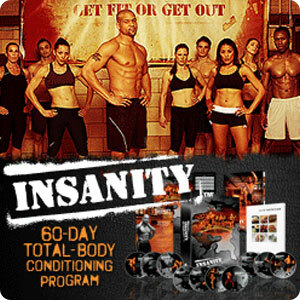 I would recommend the series as a moderately challenging workout. This one lives up to it’s name… absolutely INSANE! I still turn to the instructor, ex-track star, Sean T from time to time when I’m sick of listening to my own voice telling me what to do. My favourite volume (and therefore the hardest) is the max interval plyo workout. Don’t attempt this unless you’re in great shape, have a crash cart nearby and a gallon of water to go through during the workout! At first I found it hard not to get discouraged watching this workout. If you’re working out with these for the first time expect to be really bad and you won’t be disheartened … as a general rule for myself if a workout video is easy the first time then it won’t do anything for me long term. Well I thought, if these worked for Kelly Ripa, it will work for me. Overall it’s a good workout, not great but good. I recommend this series to older female clients who want a relatively tough workout that combines resistance training and cardio. I like that the instructors move through the workout quickly. Most of the exercises are very creative. I’ve taken elements from these DVDs and worked them into my program. If you’re just starting a workout program this is a good place to begin. When I was starting to get more serious about my workout regime Tracy Anderson appeared on the market. Despite my initial hesitations I purchased two DVDs: Dance Aerobics and Mat Workout. I learned that I should trust my instincts. In the intro Tracy states that we would all benefit from and hour of dance and an hour of mat work each day. If you work out for 2 hours 6 days a week doing anything you’ll see changes. I think there are way more effective ways to achieve your goals! Dance Aerobics: First Tracy is not a natural video instructor, she looks insecure when she does talk, which is rare and the production feels very amateur. The dances were tough to master to say the least. The choreography was way too challenging for me, a once total devotee to aerobics, to keep up with. After 5-6 separate attempts I was not able to complete the entire workout (1 hour and 10 minutes). If you’re a dancer you might love it. For me and other mere mortals I had to park this one on the shelf. Mat: If I start a workout and I’m not sweating within the first 4 minutes something is up. If I don’t sweat after 50 minutes it’s not working. This video just didn’t cut it for me. Like the dance aerobics it was poorly instructed, almost zero motivational encouragement. In terms of results, besides my shoulders after what felt like Jane Fonda on steroid arm circle series I felt nothing the next day. Overall would not recommend this workout series. Do you have any favourites? Please let me know so I can try them! What do you think about the Gillian Michael’s videos? I love her kettle bell workout and the 20 min shred. Hi Amanda! Thanks so much for your post :D.
I’ve never seen the Gillian Michael’s 20 minute shread but sounds good – if you love it keep at it! I remember a big scandal came out a couple of years ago regarding her kettle bell form. Might be smart to youtube proper form to check against the video. If you love those workouts checkout physique 57 30 minute express workout.